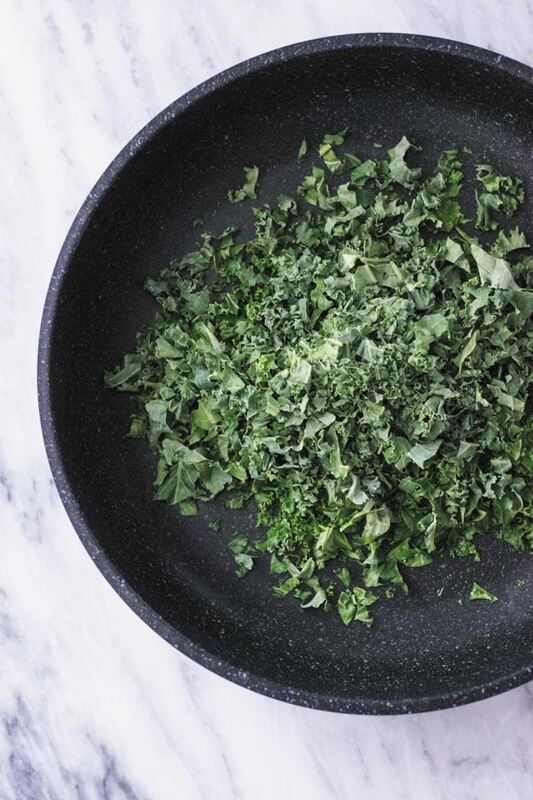 A delicious way to eat Kale! I have been addicted to this simple 15 MINS Spicy Kale Fried Rice and it’s so good eaten by itself or as a side! Lately I have been having lots of recipe disasters which has made me question if I am a cook at all? As these thoughts hovered my mind one day, I realised I was starving and found myself with some leftover rice and KALE (I always have a bunch of kale). I went with my instincts and added few spices here and there as per my taste and boom, this recipe was born and it was so good that I inhaled the whole pot all by myself and next day made it again. 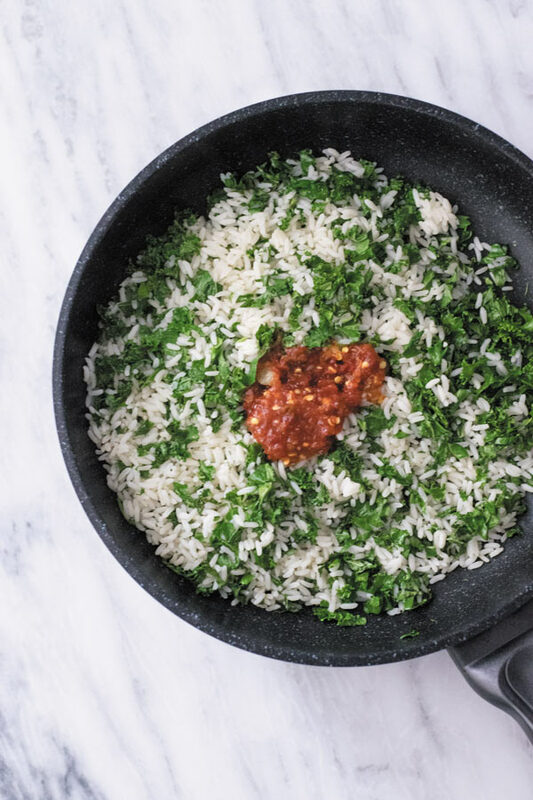 This rice brought my confidence back and these days Ronak will tell you that this is what I eat when I am craving something spicy and tangy which is all the time, as usual! Usually I am not for pre packaged, already cooked rice. 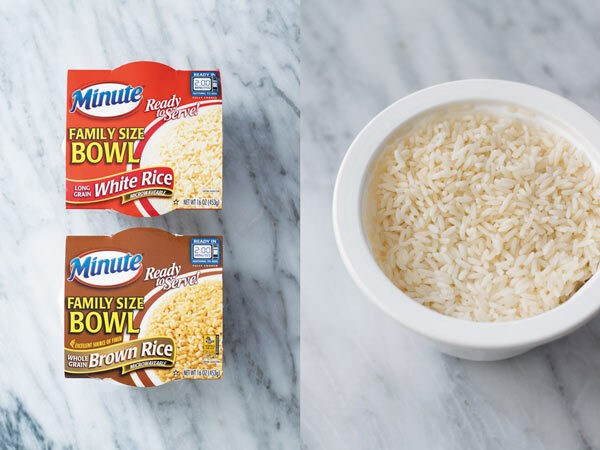 I like to take my time and make my own fresh rice from scratch but then I saw these newly launched Minute Ready to Serve Rice Family Size Bowls by MinuteRice and I gave white rice a go and to my surprise it tasted delicious. No funny smells, no weird taste of preservatives. 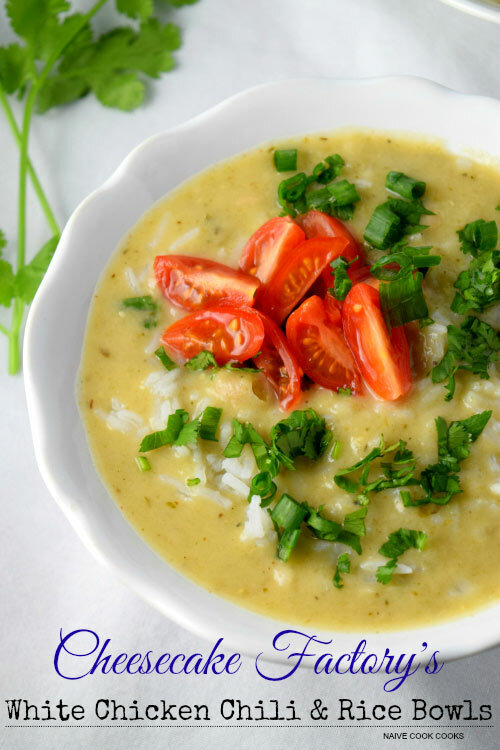 After warming in microwave, this rice tasted just as good as the one made fresh at home! Take my word for it! 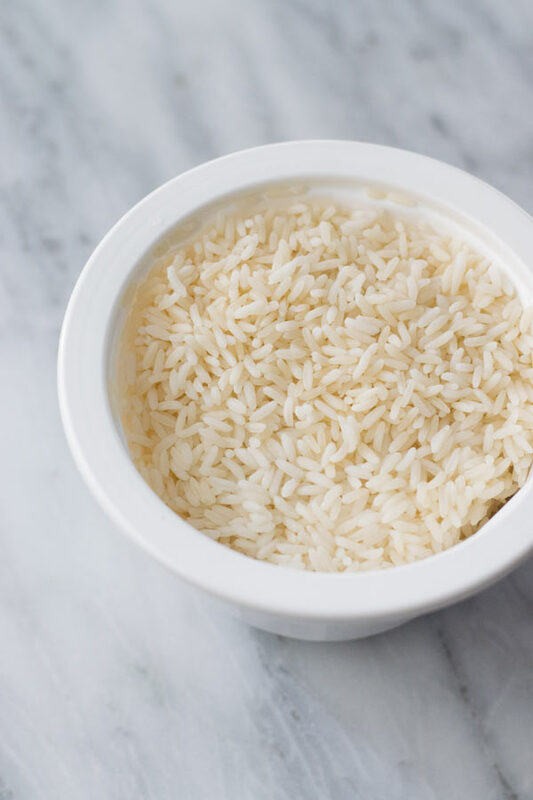 If you are going to be making your own rice at home, then I would suggest to make them a day ahead as leftover rice is best for making this dish. 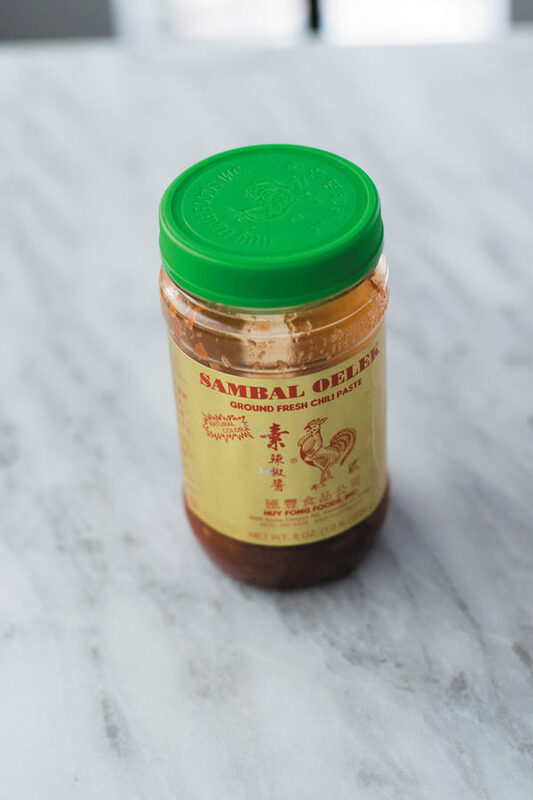 This is the chili paste I like to use and it’s easily available in any local grocery stores. I like this especially as it’s not just spicy but vinegary too which goes great with the rice and kale flavors! To make this I used one 16 oz Minute Ready to Serve Rice Family Size Bowl of White Rice by Minute Rice. If you want, you can make your own rice a day in advance but if cooking rice just before making this fried rice, after cooking the rice and straining it of water (if there is any left). 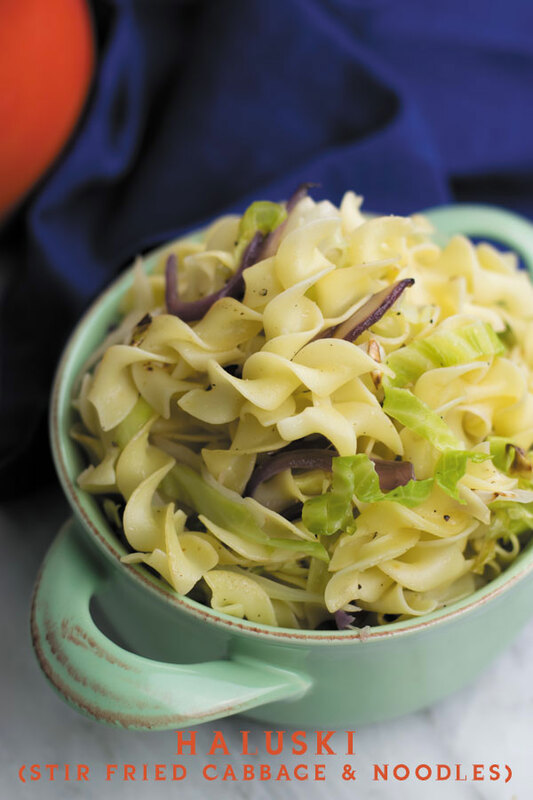 spread it on a baking sheet and pop it in freezer for quick 15-20 minutes. I used about 3-4 cups of fresh finely chopped kale. 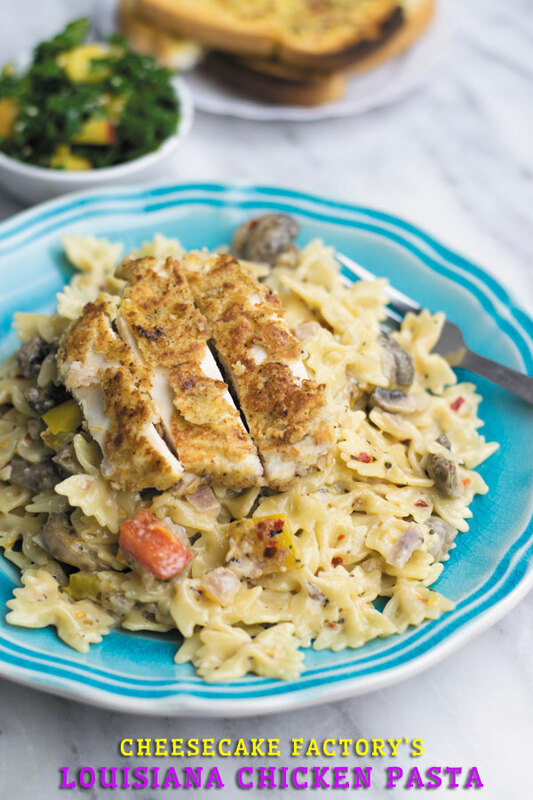 When ready with ingredients, in a deep skillet I add a tsp of oil. To it chopped kale and saute for few minutes until it starts to wilt. To it add already cooked rice and mix. Now add salt, pepper, chili paste and vinegar and mix. Taste and adjust spices as per taste. 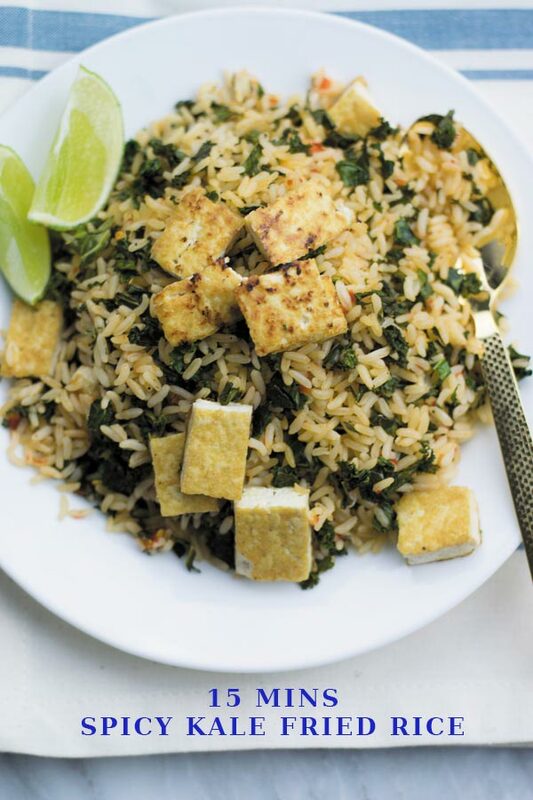 This time I crisped some tofu on the side in little oil on a skillet and towards the end mixed it with spicy kale fried rice to make it a filling whole meal. You can use any protein of choice. I think shrimp, chicken or beef will be great additions here! 3 - 4 tbsp Chili paste ( I have shown a product picture in the steps) or if you like less spicy, start with 1 tbsp and taste and add as per taste. **If using fresh home cooked rice, see in post on how to get it ready for fried rice. In a skillet, add oil. To it, add kale and stir around until it starts to wilt. Add rice and mix. Add all spices and sauces and mix on high heat so rice gets nice hot & crispy. Taste and adjust sauces or spices to taste. If using protein, add your cooked protein of choice such as tofu, chicken, shrimp or beef and mix. I’ve had that feeling before! Sometimes I feel like such a fail and it is so frustrating! 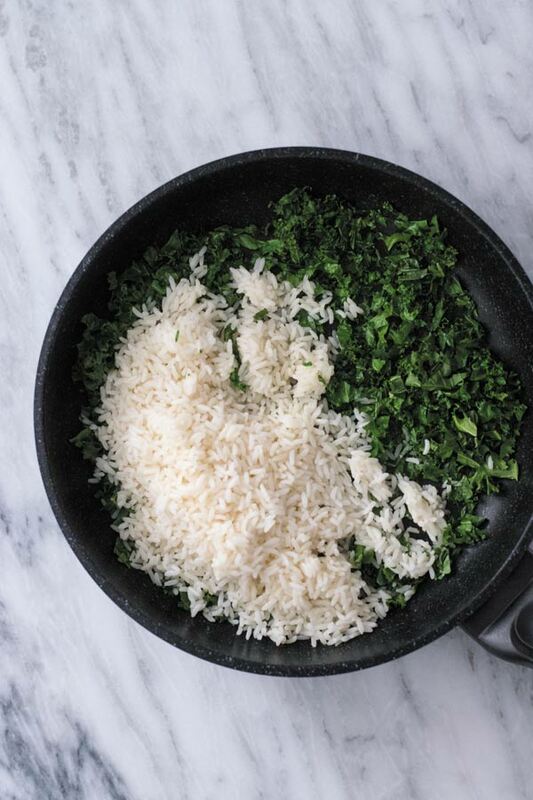 But, you kept going and you can do it because this rice looks amazing! Recipe disasters are no fun! Sometimes you just have to take a break and then come back to it. 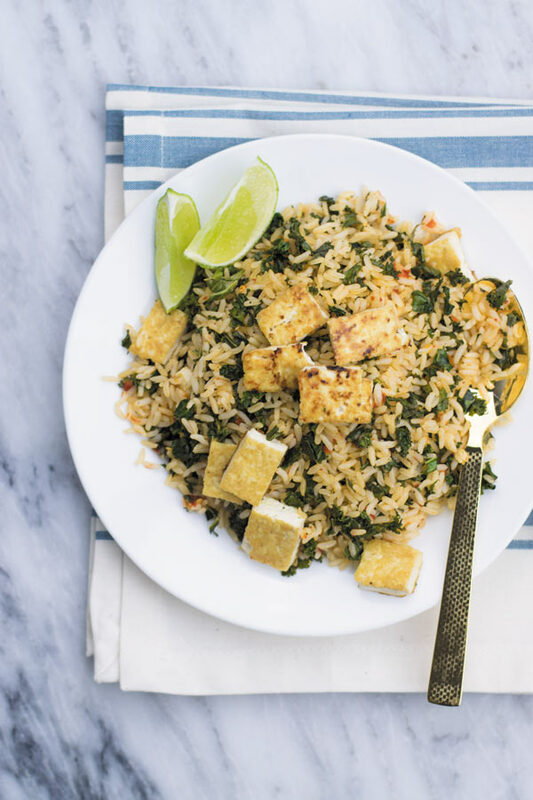 It looks like you have a winner with this fried rice 😉 It sounds and looks delicious!